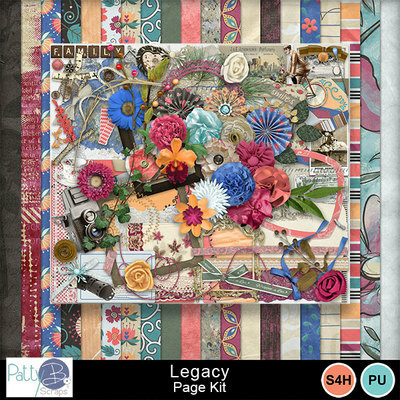 Legacy Collection by PattyB Scraps is perfect for your vintage, as well as current, digital scrapbooking needs. 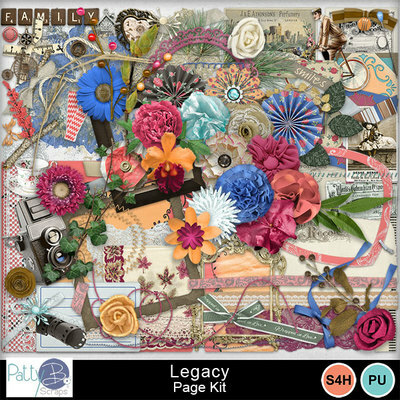 Create beautiful layout pages to keep those memories fresh, and to pass on to the future generations. Tell your family’s story. “We are a continuum. Just as we reach back to our ancestors for our fundamental values, so we, as guardians of that legacy, must reach ahead to our children and their children. And we do so with a sense of sacredness in that reaching.” Paul Tsongas quote. Each portion of the Legacy Collection is available separately for your convenience; however, the Legacy Bundle is your best value.